Kaschka Knapkiewicz and Axel Fickert have gained great recognition since establishing their studio in Zürich in 1992. Especially their housing projects have set new standards and have influenced an entire generation of Swiss architects. 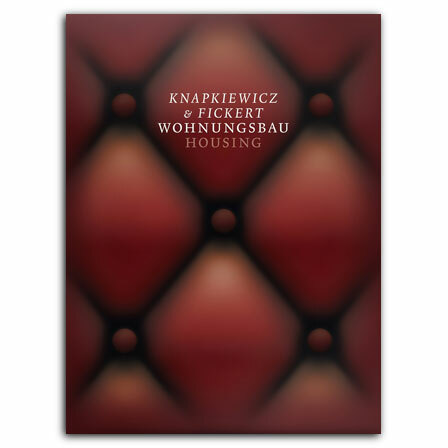 Knapkiewicz & Fickert rank among the leading firms in residential architecture in Switzerland. With the experience of twenty years they search for models and inspiration in the history of architecture and urban planning. They do not hesitate to ignore taboos and break rules to create emotionally attractive living spaces. A considerate and lavish use of materials, luxurious and austere, is a trade mark of their work. Knapkiewicz & Fickert. Housing is the first comprehensive book on their work in this field. Documented are twenty built and unrealized projects of two decades. Each is described in a short text and richly illustrated with photographs, renderings, drawings and plans. An introductory interview with the two architects on their work and ideas rounds out the book.